Long Made Co. was founded by James and Carissa Long in January 2012, and the pair have quickly amassed an impressive collection of solid brass or steel wall lamps and pendants in their online shop. 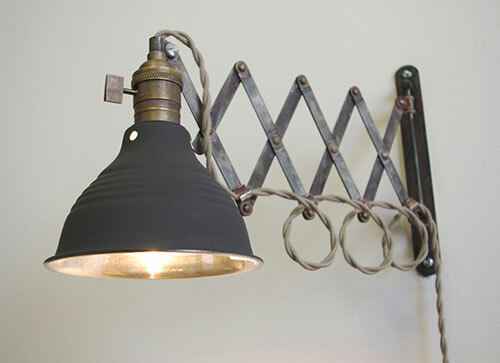 The very first lighting fixture James and Carissa designed and sold was this one, the classic scissor lamp. After rave reviews, they had the confidence to expand their line with more styles and looks...all moody and cool.